One of the most important pieces of information to realize when considering Mediigap coverage is that a Plan F offered by one insurance company most cover the same benefits as any other insurance company that is offering a Plan F. Medigap Plans are standardized plans designed by the Federal government, so a Plan G by one company must offer the same benefits as any company that offers the same lettered Plans. The main difference among carriers that offer Medigap plans are the prices they charge and the rate increases consumers see year after year. When you enroll in Original Medicare and elect a Medigap Plan, Medicare is now in charge of your bill and you are utilizing the Medicare network. The Medigap insurance company you elect is simply paying the 20% after Medicare pays their share (80%). During this time, the 1st 6 months of when you sign up for Medicare Part B, you cannot be turned down for coverage and your acceptance is guaranteed for a Medicare Supplement Policy. After 6 months of enrolling in Medicare Part B, you must qualify medically in order to change companies. Did you know you can apply for a Medigap policy at any time of the year, the Annual Enrollment Period for Part D and Medicare Advantage plans does not apply to Medigap policies. Rates: What is a Medicare supplement premium? It’s the monthly rate that you pay to the insurance company that provides your Medicare Supplement coverage? Find out what premium each insurance carrier will charge you. Are they offering a low premium? Is it competitive with other Medigap insurance companies in your area? Many companies may offer discounts when a husband and a wife purchase a policy from the same company, so it makes sense to choose the same company. Ask Golden Years Design Benefits about the rates of the individual Medigap companies to ensure your price is still competitive. Rate trend history– Most policies will have an annual rate increase to keep up with medical inflation. What kind of rate increases has the carrier you are considering had over the last 3 years? Are the rate increases reasonable or significantly higher than the competitors? Financial ratings– A number of rating companies dig into the financial stability of each insurance carrier. These companies give reports, or grades, on the fiscal health of the insurer. Ask your agent what the A.M. Best Ratings are for each carrier. Then consider this information when making your selection. If you purchase a Medigap policy after the first six (6) months of the start of your Medicare Part B insurance companies have Non-Tobacco, Non-Smoker, and Non-referred Rates they can charge. Some companies may charge a one-time application fee (e.g. $20 or $25). This means the insurance company can look at your medical history to determine eligibility for enrollment, and you could be turned down. Companies cannot use medical underwriting during your first six months of Medicare Part B. If you have had Medicare Part B for more than six (6) months or greater and would like to change companies to lower your premium, companies do not have to sell you a policy. Golden Years Design Benefits has access to over 30 Medicare Supplement Insurance companies and we are familiar with the different underwriting criteria offered by the different insurance companies. 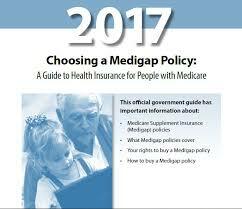 Medigap policies do not include prescription drug coverage. If you want prescription drug benefits, you will need to enroll in a separate Medicare Prescription Drug Plan (Part D). Ask your agent to assist you in selecting the best part d plan based on the prescriptions you take.